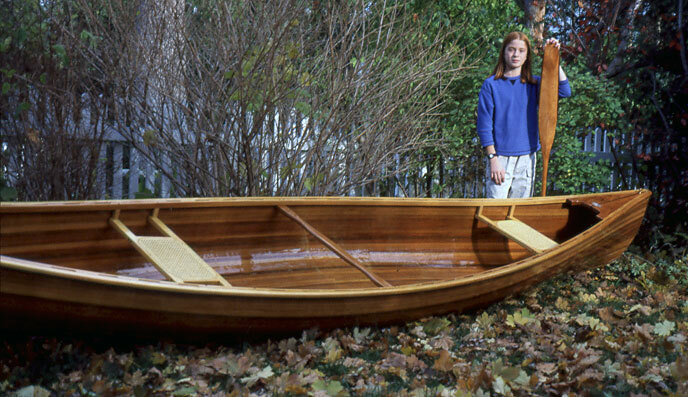 Robert Johnston gave this 17' Redbird canoe that he built to his brother, James Johnston, for James' 50th birthday. Robert used bead-and-cove cedar strips for the hull, then covered them with two coats of epoxy. The decks are cherry with purple heart inlays, the seat frames are ash with caned seats, and the wales are Spanish cedar. 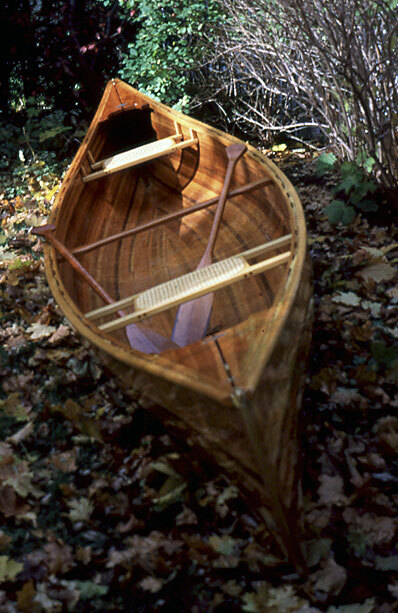 This canoe was only one of three boats he built in the year from July 2000 to July 2001. He also built a CLC rowing skiff for use on Lake Champlain, and a Glen-L drift boat for fishing on the Bow River in Alberta, Canada. Contact James Johnston at jimjohnston0@hotmail.com or reach Robert at rvj@telusplanet.net.